We invite contributions for the 2016 Workshop on Visualization for the Digital Humanities. This will be a one day workshop taking place as part of IEEE VIS 2016 in Baltimore, MD. Addressing these difficulties requires exposure of these data issues, interdisciplinary collaboration, and steering of future research directions. For more information, please see our call for papers. Welcome note by the workshop OC. 45-minute talk, 5 minutes for questions. 15 minutes (10 presentation + 5 questions) per short paper, 3 total speakers. 15 minutes (12 presentation + 3 questions) per position paper, 4 total speakers. Q & A audience driven, moderated by a conference organizer. 5 minutes per paper, 3 total speakers, 5 minutes for questions. Closing note by the workshop OC. We would like to go to dinner together after the workshop. Please RSVP (by Oct 21) to join. Beyond demoware - how do and how could humanists exploit visualization in their core work? Abstract: The presentation begins by asking to what extent visualization in the Digital Humanities has actually changed the practices of mainstream humanists. The presentation will then consider the possibilities for visualization in the classic practice of philology, by which I designate the sum of all ways in which we can exploit the linguistic record to understand the past in its entirety. Here I focus particularly upon several cognitive barriers:(1) the challenge of analyzing text at scale without losing the precision of traditional close reading; (2) the problems of working with large scale trans-cultural subjects that involve sources in more languages than we can study, much less master; (3) the challenges of assessing reliable contributions from citizen scientists with many backgrounds and from around the world; (4) the role that each of these questions plays in the larger challenge of balancing localism and globalism as we think about the past in a global age; (5) the implications of these questions for the particular task of developing a new version of the Perseus Digital Library that can serve a Global Philology. Gregory Crane received his Ph.D. in Classical Philology from Harvard University. 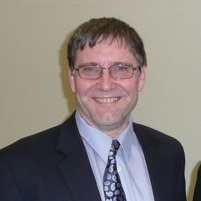 He is now Professor of Classics, Winnick Family Chair of Technology and Entrepreneuship and Adjunct Professor of Computer Science at Tufts University. He is also Alexander von Humboldt Professor of Digital Humanities in the Department of Computer Science at Leipzig. Crane is also the editor-in-chief of the Perseus Digital Library. Abstract: In digital humanities (DH), scholars conducted their data-informed research in ways similar to the analytical processes in the sciences. Large and complex datasets are collected, processed, summarized, and observed; hypotheses are formulated, explored, and scrutinized; analytical evidences are computed or uncovered; and findings are presented and communicated. Visualization can be an enabling tool in every stage of such a workflow, especially in many situations where fully automated approaches cannot adequately handle the high dimensionality of the data, address the sparsity of sampling, or capture the knowledge of the scholars. Therefore, DH problems are treasure troves, offering a broad spectrum of challenges and opportunities to the application as well as the advancement of the visualization technology. In this talk, the speaker will share his team's experience in collaborating with DH scholars, conducting DH projects, and making new technical advancements while fulfilling the requirements of DH research. In the spirit of this workshop, the speaker will also use nine DH problems (in an ambitious but unsuccessful grant proposal) as part of the discourse on new research directions. 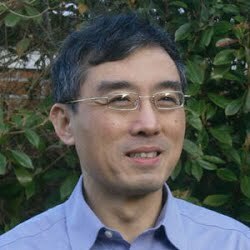 Min Chen developed his academic career in Wales between 1984 and 2011. He is currently the professor of scientific visualization at Oxford University and a fellow of Pembroke College. His research interests include visualization, computer graphics, and human-computer interaction. He has co-authored some 200 publications, including his recent contributions in areas of theory of visualization, video visualization, visual analytics, and perception and cognition in visualization. He is leading visualization activities at Oxford e-Research Centre, working on a broad spectrum of interdisciplinary research topics, ranging from the sciences to sports, and from digital humanities to cybersecurity. His services to the research community include papers co-chair of IEEE Visualization 2007 and 2008, Eurographics 2011, IEEE VAST 2014 and 2015; co-chair of Volume Graphics 1999 and 2006, EuroVis 2014; associate editor-in-chief of IEEE Transactions on Visualization and Computer Graphics; and co-director of Wales Research Institute of Visual Computing. He is currently one of the two editors-in-chief of Computer Graphics Forum. He is a fellow of British Computer Society, European Computer Graphics Association, and Learned Society of Wales. This workshop is seeking work from scholars in both visualization and the humanities who use visualization as part of the process of analyzing and interrogating human culture. Submissions will present original research ideas or results as they relate to visualization for the digital humanities. Each submission should clearly state its specific contribution to this growing field of research. Extended Abstracts: These submissions are meant to highlight emerging visualization research in the digital humanities. The intention of these shorter submissions is to provide a platform for feedback for work that is still in progress, rather than present completed projects. Short Papers: These submissions are meant to summarize more mature work in visualization for the digital humanities, including case studies, system descriptions, and empirical results. Of special consideration are works that highlight the difficulties (and propose solutions) of designing visualizations for the digital humanities. Applied work from the digital humanities that is highly visual in nature would also be considered for acceptance. Position Papers: These submissions are meant to present viewpoints and opinions on the interplay between visualization and the digital humanities. These positions should be informed by a deep involvement and experience in one (or ideally, both) fields. Position papers should be thought-provoking but also well-supported. Authors of accepted short and position papers will be invited for a 9-minute research presentation (including 2 minutes for audience questions). Additionally, they will participate in a moderated panel discussion. Authors of accepted extended abstracts will give 5 minute “fast-forward” presentations. Submissions should be in two-column IEEE TVCG format. Latex and Word templates are available at: http://junctionpublishing.org/vgtc/Tasks/camera_tvcg.html Submissions will be optionally double blind. Authors wishing to submit their work double-blind should remove author information from the cover page of their submitted document, and take care to avoid identifying information in the submission itself (e.g., references “our” work). Submissions should be submitted via https://easychair.org/conferences/?conf=vis4dh2016 by 5 PM PST, 30 July 2016. Submissions should be in pdf format, clearly indicating the paper type: extended abstract, short paper, or position paper. Submissions should not exceed four pages.